Carrot and coriander soup is a simple and healthy meal that will help keep your waistline trim. Earthy carrots are cooked with sweet onion, salt, pepper, and water or stock until cooked through. The soup based is then spiked with orange juice and ground coriander. When shopping for spices, look for them whole and grind them yourself. They are fresher and will have a stronger flavor. 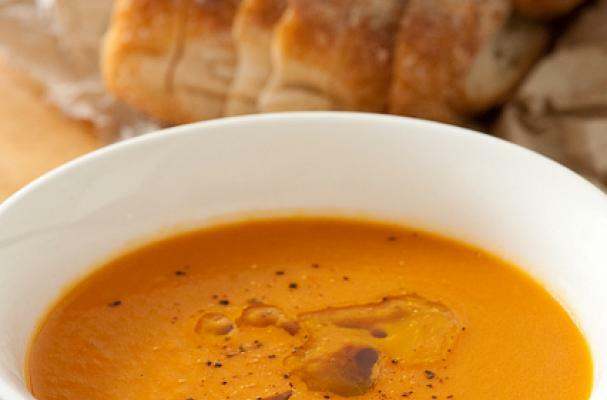 Carrot and coriander soup is a lovely dish that you'll want to make sure has leftovers. In a deep pot, heat oil or butter and add the chopped onions until soft.Now add the carrots and saute for a few minutes. Add the water, salt and pepper. Cover and cook until the carrots are done. Now add the orange juice and the coriander powder. Let it cook for 2 more minutes. Puree the soup in a blender and garnish with fresh coriander. Serve hot!